Although the basic premise remains the same, this story underwent drastic rewrites to get it into this series. 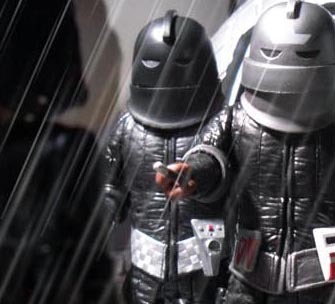 For the original storyline it was the Cybermen, not the Sontarans who were creating drones next to a tear in the time vortex but they were on another planet rather than on Earth. We would be introduced to two pupils from Belinda's former school who would fall prey to the Cybermen as they struggle to control their rogue time-drone. 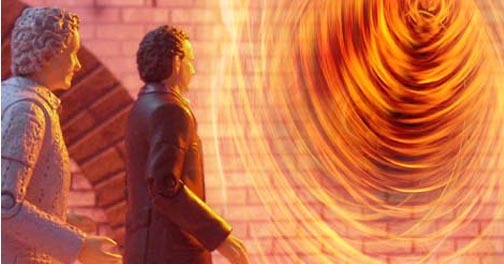 The relationship between the Doctor and Belinda continued to be turbulent, as she was responsible for the Doctor losing his memories. 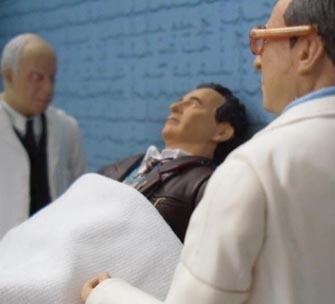 This time they would be implanted into a Cyberman who would express the Doctor's guilt about Ace in much the same way as Sturg in the finished episode. For their part, the Cybermen were already at war with the Daleks and hoping to use the time drone to give them the advantage. When I decided to make this series a precursor for the Dalek/Cyber war obviously I could no longer use the Cybermen. 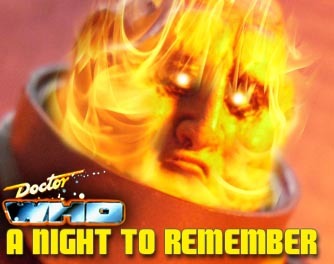 By switching to the Sontarans instead it gave me the impetus to put Sontarans in the year's opening story Empire of the Time Lords. All the TARDIS interior scenes were done 22 Jan 2012 and aside from the Sontaran ship interior (shot at the same time as Empire of the Time Lords on 3 March) and the roof tops scenes (done with Paradox Lost on 3 April) filming for this story specifically was done on 9th April 2012 starting with the nursing home corridors, the ward and finally the cellar. 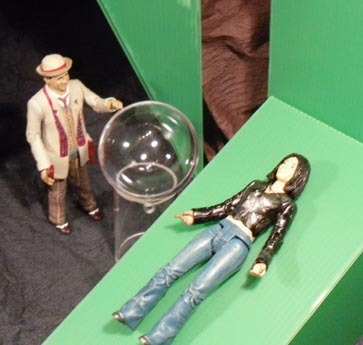 The green screen elements, including Belinda in the time vortex and the nursing home exteriors were done on 3 May. The Plains of Enchanted Song have been mentioned a few times on the AFT, the first time was in White Christmas where the fourth Doctor offers it as an alternative place to visit. Last time we saw Commander Sturg was in Empire of the Time Lords as he hurried back to Sontar with news of the Time Lords' secret. 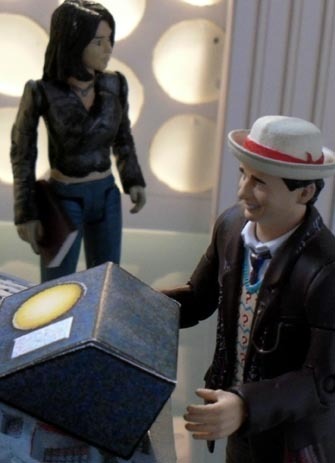 Ena proved quite popular and was proposed by members of Outpost DW as the next companion.